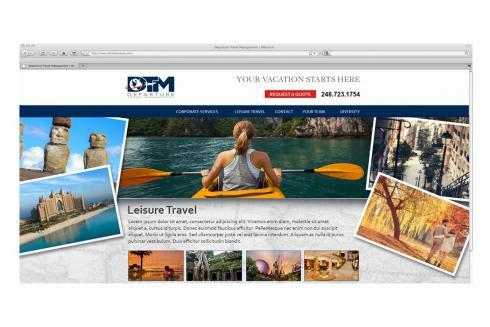 Michigan based Departure Travel Management provide personal travel planning to corporate and private clients. The Departure Travel Management team work with a diverse portfolio of clients planning single trips or complex specialised custom luxury vacations. 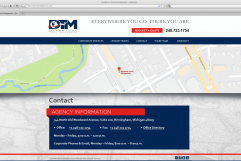 The company’s owners recognized the need to update the way in which clients could interact with the business and therefore, evolved their product offering via the DTM website. This required a fresh approach to the look and feel along with increased functionality. Beginning first with a wireframe, Centigrade and Departure Travel Management discussed all the functionality and programmatic requirements which most impact the end clients, making their ability to find what they need more expedient and beneficial. These updates in function drove the update in the form of the creative. Centigrade worked with its development team to build a site in Drupal, which allows Departure Travel Management principals to make copy and image updates with ease any time they deem, requiring no programming knowledge.